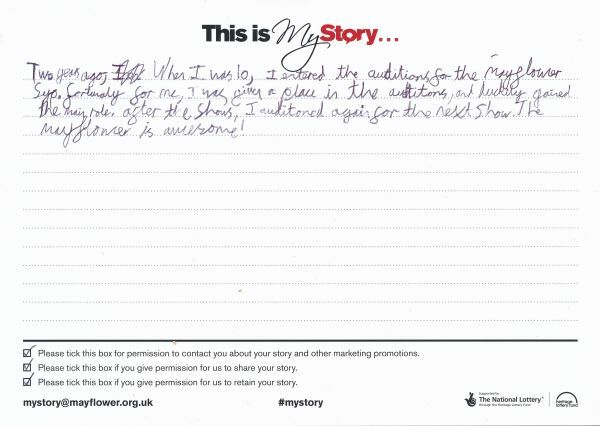 My Story card: Tom Norman remembers auditioning for the Summer Youth Project. Two years ago, when I was 10, I entered the auditions for the Mayflower SYP [Summer Youth Project]. Fortunately for me, I was given a place in the auditions, and luckily gained the main role. After the shows, I auditioned again for the next show. The Mayflower is awesome!